Every type of lawsuit (both civil and criminal) is governed by time period deadline by which a lawsuit must be filed, known as the statute of limitations. These statutes of limitations are codified within each state’s statutes and serve to establish the length of time or deadline for a plaintiff to file a lawsuit for the specific type of case. For example, in Florida a personal injury case an injured victim must file his or her lawsuit against the at-fault party within four years of the date on which the injury victim was harmed. Another statute limits Florida medical malpractice cases to a two years deadline. 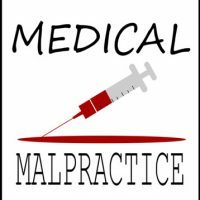 The manner in which the medical malpractice statute of limitations operates, however, is much more complicated than other statutes of limitations, and requires legal knowledge and experience to analyze and calculate. For contract disputes or personal injury claims, for example, the clock on the statute of limitations begins to run the day the injury or damage occurs. For instance, if a person is involved in a car wreck on July 1, 2017, he or she will have until July 1, 2021 within which to file his or her personal injury lawsuit (four years from the date of the injury). If the injury victim fails to file a lawsuit for his or her injury claim within this deadline, then the statute of limitations operates to prevent any financial recovery from this incident. If this general rule were to be followed in medical malpractice cases, then an injured patient would only have two years from the date he or she was injured to file a lawsuit for his or her case. For example, a patient injured in a botched surgery on July 1, 2017 would be expected to file his or her claim for compensation by July 1, 2019. However, a patient may not realize he or she has been injured within two years of the procedure, surgery, or office visit. This could keep some patients who suffered legitimate injuries and damages from ever obtaining compensation. Do not waste time after a medical procedure or treatment: if you experience adverse symptoms or have reason to believe your doctor committed an error, because your statute of limitations time may have already begun to run. If you fail to do so, you may be forever barred from obtaining compensation for your injuries. Contact Marjorie Chalfant, RN, JD at The Nurse Attorney, P.A. today at (941) 254-2401 or (941) 210-4220, or reach out to the firm online. As a Registered Nurse and experienced medical malpractice trial attorney, Marjorie Chalfant, RN, JD at The Nurse Attorney, P.A. can timely review the facts of your case and help you take appropriate actions before it is too late.